Please also refer to our owner’s own availability calendar page and prices/tariff page which, for each cottage separately, provides our most up to date relevant prices and availability for the year. The website calendars on each website are always up to date. There is an individual website for each cottage as listed below – and each website includes both an extensive photo gallery of that cottage plus a gallery showing our local beaches, woodland, pubs and rural walks …… as well as directions and other useful information. Enjoy your stay !! Your dogs are welcome too. Where are we on the map of Gower? the Gower Peninsula AONB. Llanmadoc Village sits within City and County of Swansea unitary authority area, in what was the old county of "West Glamorgan"
Heather Cottage, sleeps two in a one bedroom (Super King Bed) detached garden cottage with garden fully equipped and dog friendly, off adjacent road parking. - Ample parking off road for both cottages. - Shop <1 mins walk, 6 days a week. 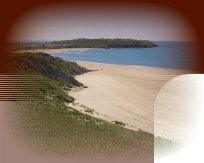 - Drive to Oxwich or Rhossili in 15 mins, Three Cliffs in 25 mins. First, explore the other pages on this website which have several dozen gallery photos of the cottages and their immediate surroundings and lots of other information about the cottages and area. 2. Your booking is then confirmed. by agreement). You can pay by Cheque or BACS transfer. 4. Your balance is payable two calendar months prior to arrival day. NB We think our simple booking system is fair, with common-sense terms and conditions and overall service match or beat the large national chains such as Hoseasons, English-country-cottages, and Cottages4you. We may not always have the weather of Benidorm, but the photo above is of Johnny Vegas's visit to Middle Cottage in August 2007. Johnny sent loads of stuff to local charities on his return home. He visited the local Inn (The Britannia Inn) and gave a spontaneous "show" for the villagers who came out. What a superstar he was.